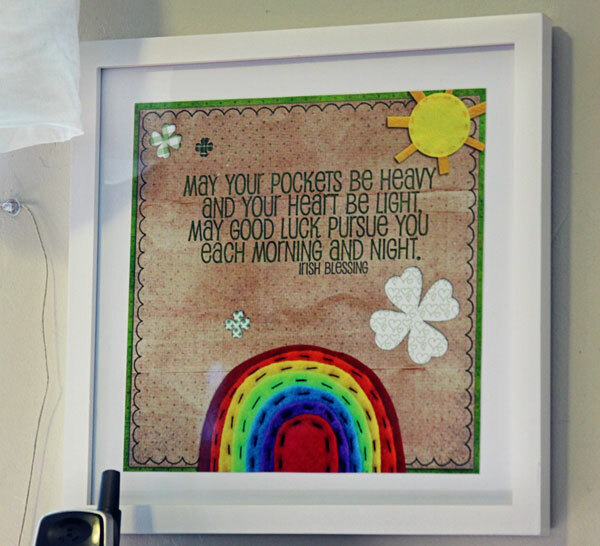 Wow…Thursday…I’m totally unprepared forLet’s get Crafty today! Even after Steph posted last week! I’m still not prepared. Since I am such a flake 🙂 For this weeks Let’s Get Crafty I am going to just feature a challenge from Gingerscraps! It’s is a crafty challenge though 🙂 The “Candy Wrapper Challenge” is our “Hybrid” challenge! Now that is crafty right! Hybrid crafts are great! Cute name too huh. Shannon came up with that one, she is so clever! For the month of March the hybrid challenge is so easy! I made it nice and simple so everyone could play along! So, for march we are actually doing something pretty easy…although, some of you have probably never used your digi scrapping supplies to make “Home Decor” I do it all the time! Hey, these kits are so cute. Why not show them off in your home! You can get very elaborate with these home decor projects, or they can be as simple as making a “LO” and printing, framing and putting on your wall. So, let’s start with EASY! Printing, Framing and Hanging on the wall! Any one can do it! Here is a real simple idea. Take a frame, maybe one that you go buy, or one that is sitting around your house. I have one in my dining room that I put some Valentines day “Digi Artwork” in for the month of Feb. I liked it so much I decided to replace the Artwork monthly for holidays or seasons. So, your challenge for the month is to get some kind of digi design up in your house somewhere! Anyway you like. you can go the easy way like I did or make something else! Just get some Hybrid juice flowing! Visit us in the Hybrid Challenge Forum and get your Craft on! The ingerdients…Marshmellows, White Choc Chips, yellow Food coloring and Green Sprinkles! Wouldn’t your kids love to have this for a special St. Pattys Day treat! Happy St. Patty’s Day! Here is a pinch from me if your not wearing GREEN! Fowers, Flowers, Flowers on Let’s Get Crafty Thursday! Oh and her handsome little son even took his tired little sisters place as a model. They look great in Mom’s hair too! Steph even made this cool Flower Necklace. Let’s Get Crafty, Valentine Decorations! The first thing I made was a cute little Family Photo Holder. I picked up two scrabble board games at a thrift store a while back. No, I do not play Scrabble..I just buy them to make projects. LOL. And here is my Scrabble Tile Family Photo Holder. The next thing I made was a cute little Valentine Garland for my window. For this one I just used some Hemp yarn, and old book (my Mom make purses out of books, so I took the insides of one of the books she tore up to make a purse) I cut some hearts out of the book pages. Then I strung a few together by poking holes into the hearts and threading the hemp yarn threw the holes, I took some mini wooden clothes pins and clipped the hearts to the “clothesline” that I strung in my window. I added the hearts that I had already made out of felt. Look how cute it is. And so easy to make! 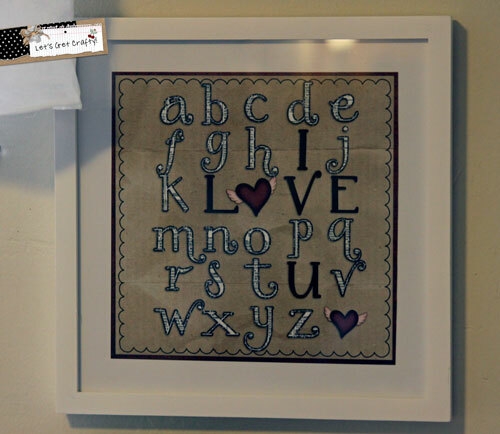 You can even take the really easy way out and instead of making the hearts out of felt get the “I Love You Felties” in the GingerScraps store, just print and cut out. This one I just finished this morning. I saw this cute idea of the alphabet somewhere and thought it was so adorable. This is just a simple Hybird project. I used the Alpha from Happy New Year by GingerScraps(recolored), the Hearts, Wings and burgundy paper are from Angel Mail by, Wyld Web Designs and the craft paper is by GingerScrapsin the Life 365 paper pack. Then I just printed and put it in a frame I got a Wal Mart forever ago. So, there you have it! 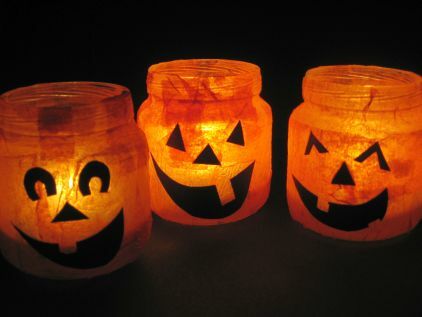 I made all three of those cute and fun Decorations with out even going to the store. LOL..They make my little home look so happy. Go make some for your self! Craft Time! Yea! See you next Thursday! It’s time to get crafty! Who’s ready? OK…I’m not…hahaha. I haven’t had any time to craft in forever. But, I do have a really cute project to show you. It is my very favorite Christmas decoration. My daughter made this for me when she was about 11. She is 17 now. I pack it very carefully every year. This is a project that you don’t really need any money for. When Kayla made this she just went searching around the yard at her Grandmas house. She found a few things in the craftroom and a little hot glue. She made this all on her own one afternoon. Came up with the idea in her own cute little brain. 🙂 I love it. I know a lot of your kids would have fun making something like this. I know all my kids love Nature Crafts. You can find inspiration anywhere. Right in your own back yard! And here are some close ups. Pretty darn cute isn’t it. Now go out on a Nature Hike and make one for yourself! Hi GingerScrapers! I know..I know..I have missed a few Crafty Thursdays…I’m sorry! I have been so busy. I am the team Mom for the Freshmen Football team…our games are on Thursdays. But, not only is it the games, we feed the team and caoches before each game. It’s a big meal and I’m in charge of it! I have to be at the school at 7am to collect all the food from the players. Make sure the food all gets warmed up by the lunch ladies, then serve the food at 2…game time at 5. So, what I’m saying here is…I’m a busy girl during Football sason 🙂 This week my kids don’t have school. We still have a football game though, but I dont have to collect the food until noon:) So, I figured I would do a little Let’s Get Crafty post for you! Halloween is in like 10 days. 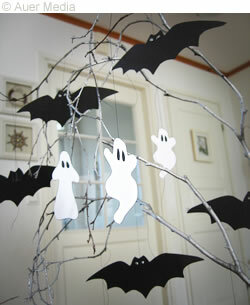 I went online to find some cheap and easy Halloween projects to do with my kids and I am going to share them with you! This first one is a great way to use up all those baby food jars you have laying around..
It’s super easy and fun to make with the kiddos. Go to Skip to my Lou for a tutorial. I used the kit Gobblin Delights which is a GingerScraps collab that you will be able to get at our Halloween party next weekend! I use Statements by Jodis part for my banner:) Make sure you come to our Halloween Party at GingerScraps to get this kit and lots of fun games and prizes! You can download your Free Template here! Hi my crafty ladies! It’s Thursday, time for “Let’s Get Crafty” Did you miss me last week? Yes, I know…I forgot! These kids and all their friends are keeping me busy! And eating me out of house and home! So, today I did a fun and easy project with the little boys. All without even going to the store to buy any supplies! We made “Chalk Paint” I got the recipe from “Family Fun Online” Love that site! Lots of great fun and simple project for the family. 1/4 cup Cornstarch…..1/4 cup water…..few drops of food coloring…That’s it! Now mix it up and get out your paintbrush and find yourself some concrete! Now of course, my boys wanted a road painted with the Chalk Paint…it’s all about cars around here. They really loved it. Actually I am typing up this post and they are still playing on the chalk road right out my window! Looks like fun doesn’t it! Now of course you don’t have to paint a road. Paint whatever your little heart desires. Oh and you might have to make up a few batches. My boys have asked me for a few refills. Don’t worry about a mess either. Just take your hose a wash it away! So, how are all my crafty friends today! Boy what a busy week. I forgot it was Thursday until this morning! Time for Let’s Get Crafty! I hope you all had a nice holiday weekend in the USA. Ours was great. My boys loved the shirts I made them. They looked so cute! So, I thought I would show you some of the felt food I made for my boys this winter. My boys love to play “Kitchen” They have a little microwave and blender etc. So, I googled “Felt Food” and there are tons of great ideas! Here are the “Foods” I have made so far. There are TONS of free patterns online. One of my favorites is this blog, The Keeper of the Cheerios She has one whole blog post with the best felt food patterns from around the web! I still want to make a sandwich, and some veggies…and more! Its addicting! Another great place is Cut Out and Keep love this site! Make some Felt Food for your kids! They will love it!